A motion put by Greens Senator Jordon Steele-John was carried by the Senate today, calling on the government to support strong encryption and act against “any push from other governments to weaken encryption on personal devices”. It also calls on the government to work with law enforcement agencies to develop “alternative avenues to obtain information through warrants and targeted surveillance that does not put every Australian at greater risk of identity theft”. The government has said it is close to finalising proposed legislation that it says will boost the ability of law enforcement agencies to access communications that use encrypted services. It is expected the laws would oblige Australian companies to assist government agencies with decryption, but details about exactly how have been scant. 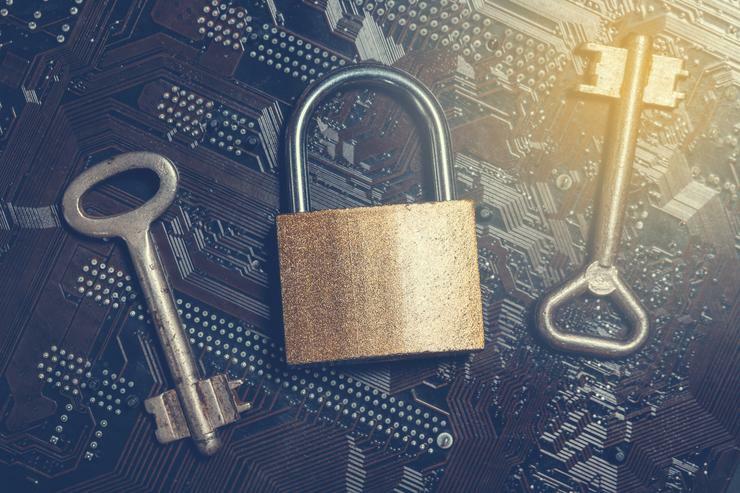 End-to-end encryption services are intended – barring design or implementation flaws – to resist decryption by both the service providers and third parties. Arguing against the motion, Liberal National Party Senator James McGrath said the government supported the use of strong encryption, but was concerned about the use of encrypted communications and storage platforms by various terrorist and criminal groups. “Addressing the challenge requires a multifaceted approach including closer cooperation between industry and agencies where it is reasonable and proportionate, and insuring agencies have alternative powers and capabilities,” McGrath said. “The government is not proposing to mandate backdoors or weak encryption for all users. This is about targetted access to information via lawful process,” he added. A similar motion put by then Senator Scott Ludlum in 2016 was voted down by Labor and the Liberals. Senator Steele-John said today’s motion was “critical for the privacy of individuals’ data, and a debate worth reigniting given the recent Facebook/Cambridge Analytica scandal”. At a Senate Estimates hearing in February, Department of Home Affairs secretary Michael Pezzullo said any legislation would not "undermine legitimate encryption" and suggestions that a backdoor would need to be created were a “cartoon-like assumption”. Senator Steele-John, the Australian Greens’ digital rights spokesperson said Pezzullo’s comments were “complete and utter nonsense”. “It’s a pretty simple concept; either both Mr Pezzullo and his Department have no understanding of how encryption works, or they assume that nobody else does and have insulted the intelligence of me and my staff in the process,” he wrote in a statement. “Quite simply the development and implementation of decryption technologies will decrease the security of end-to-end encryption; it is either 100 per cent secure or not at all. Obligating Australian companies providing telecommunications services and devices to assist government agencies with decryption will fundamentally mean that the data of everyday Australians will no longer be secure,” he added.